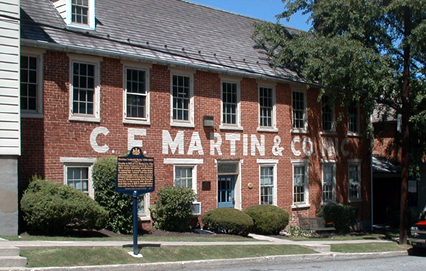 C. F. Martin & Co. of Nazareth, Pennsylvania, the preeminent maker of acoustic guitars in the "new world", and the oldest family-run business in continuous operation in the United States, constructed guitars for other companies--who sold them under their own brand names--with some degree of regularity during the first one hundred years of its operation, from 1833 through the 1920's. This practice ceased, however, with the advent of Martin's "golden era" of guitar production in the late 1920's, through World War II, and on through the folk revival of the 1960's. In fact, it wasn’t until the middle of the 1980's that Martin, facing declining sales during the decade of synthesized pop music, once again agreed to take on a project to build instruments under a name other than their own. The Schoenberg Soloist was the guitar that broke the mold, so to speak, for Martin. These instruments, designed by noted acoustic fingerstyle guitar player and vintage guitar collector Eric Schoenberg, in collaboration with luthier Dana Bourgeois, were produced by Martin from 1987 through 1994. Their name, "Soloist", hearkened back some 60 years to the last well-documented instance when Martin had made guitars under another name--the Olcott-Bickford Artist model, manufactured for the renowned player and teacher Vadah Olcott-Bickford (1885-1980) in the 1920's. These Artist guitars were often called "Soloists". How did the Schoenberg project come into being? We must first look at Eric Schoenberg's activities in the 1970's and early 1980's for a background. 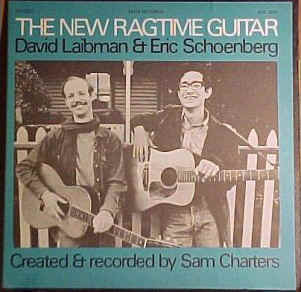 Schoenberg, having taught guitar primarily in New York City since 1963, collaborated with his cousin, Dave Laibman, to perform arrangements of 'classical' ragtime pieces in the late 1960's, resulting in their influential album The New Ragtime Guitar. Schoenberg toured the United States and Europe during the 1970's, playing solo acoustic arrangements of ragtime, folk, blues, and Celtic music on steel-string guitar. During this time, he recorded and released two albums. An avid collector of 1920's era Martin guitars, Schoenberg gravitated towards the 000 size 12-fret model, which best facilitated his playing style. However, he soon discovered--and quickly became a convert of--the 14-fret OM, or Orchestra Model. Martin had invented the OM in 1929 at the request of popular musician Perry Bechtel, who wanted an instrument that would facilitate his switch from playing banjo to playing the guitar. Martin designed the OM by taking the 000 body shape and squaring the shoulders so that 14 frets were clear of the body, instead of 12. 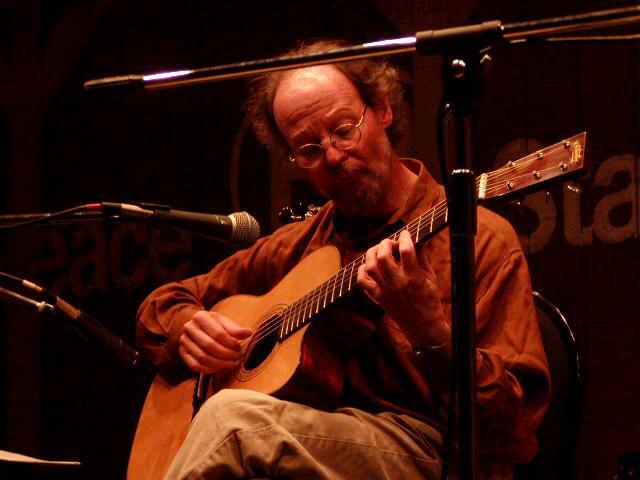 In fact, the OM was Martin's first 14-fret guitar. In addition, Martin utilized their longer, 25.4" string scale. Martin made these OMs for only three years, from late 1929 through 1933. (In 1934, the model used a short, 24.9" scale, and was thereafter called a 14-fret 000 instead of an OM). Schoenberg cites several reasons why the OM is the ultimate fingerstyle guitar. These include clarity of notes everywhere on the fretboard, a good balance between the bass and treble registers, excellent projection of volume, and the longer scale's improvement of the guitar's responsiveness to a gentle right-hand touch--perfect for fingerstyle players. Given the rarity of Martin OMs (less than 1,500 were made), in 1977 Schoenberg, as co-owner of the Music Emporium in Massachusetts, ordered six "Special" OM-45s from the Martin Custom Shop. Soon, however, Schoenberg was yearning for a cutaway on his OM, to facilitate even further access to the higher register of the fretboard. For this, he turned to his 'right hand man', luthier Dana Bourgeois of Maine . . .